Great techniques that really work. 7th Degree Black Belt and Taekwondo Grandmaster, Jon Engum currently displays an uncanny combination of flexibility and whipcord strength. Jon moves with speed, suppleness and enviable power—a model to his younger students and a terror to those who face him in a fight. But it wasn’t always this way. Because there was a time of crisis in Jon’s martial career where he began to lose his edge—from the effects of aging, plus the wear and tear of constant combat. 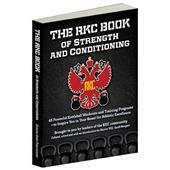 This book reveals the complete “Flexible Steel” system Jon Engum developed to regain and maintain his edge as a fighter. But even more importantly, Flexible Steel can give you the most priceless gift of all: the freedom to move, pain-free, with easy power, graceful strength and a sense of fluid well being. "Flexible Steel is my favorite stretching book. Jon Engum reached his forties before he reached his first split. 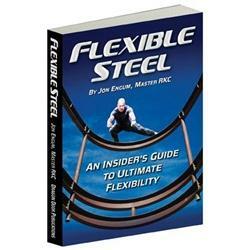 Follow his remarkable journey and achieve the flexibility you never thought possible"
How sure are we that Flexible Steel (eBook) will work for you? 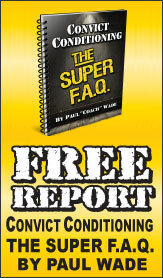 Simply fill out the form below and put Flexible Steel (eBook) to work for you right now. 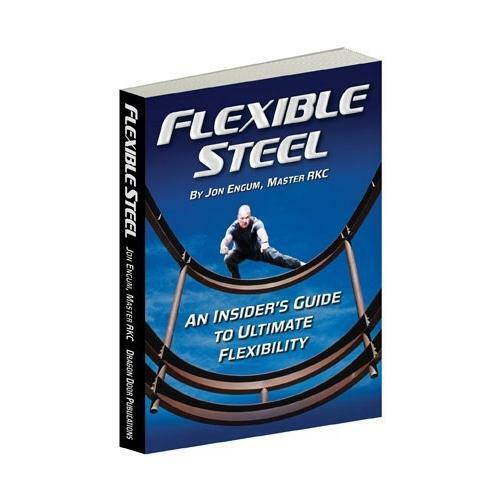 Obviously, we would go out of business if Flexible Steel (eBook) didn't work, the way we said, right? 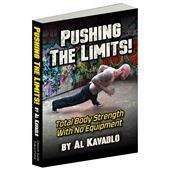 With the promise of a full refund if you're unsatisfied, you have nothing to lose by trying Flexible Steel (eBook). Go ahead and try it today. But it wasn’t always this way. Because there was a time of crisis in Jon’s martial career where he began to lose his edge. "I had some success along the way winning more often than not and I managed to rack up some state and national titles. But in the process I was destroying my body. The natural resilience of youth can only go so far. 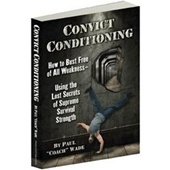 I began to notice that during my training I was becoming stiffer and stiffer. I would wake up in the morning like the proverbial ‘Tin Man’ with aching, tight muscles and creaking, rusty joints. I was becoming a broken down horse. This constant state of deterioration was really driven home to me when new students would come into class and naturally display more flexibility and more mobility than my ‘professionally’ trained body. Can you imagine the disgrace I felt as the ‘Master’? More like Master Tin Man. There comes a turning point in one’s life when you have a blinding flash of the obvious and this was mine…what I was doing was not only not working but I was actually sabotaging my own efforts in the name of self-improvement. So I decided to take the bull by the horns. I needed better technology than just toughness. Because Martial Arts was my profession, I was unhindered by a ‘real’ job and able to dedicate the time needed to truly become a ‘seeker of flexibility truth.’ I went to every stretching guru or workshop I could find, no matter the expense or distance. What did I discover? 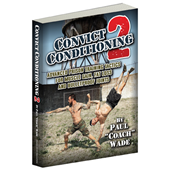 The flexibility world is running rampant with charlatans…"
That disappointment all changed however, when Jon Engum discovered the flexibility/mobility teachings of Pavel Tsatsouline. The "magic oil" of Pavel’s stretching wisdom seemed to almost instantaneously re-lubricate the creaking Martial Tin Man. Jon was reborn—quickly regaining his youthful flexibility but at the same time surging forward to new heights of mobile strength and power. 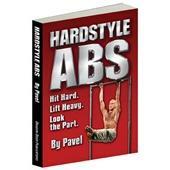 This book reveals the complete "Flexible Steel" system Jon developed to regain and maintain his edge as a fighter. But even more importantly, Flexible Steel can give you the most priceless gift of all: the freedom to move, pain-free, with easy power, graceful strength and a sense of fluid well being. To press the Tin Man metaphor, Jon got his heart back—and now so can you. Rated 10/10 Great techniques that really work. Rated 10/10 Excellent Mobility Drills! Rated 9/10 This is a keeper. Rated 10/10 A must have book!